WE HAVE SOURCED AND HAND-PICKED THE MOST INTELLIGENT AS WELL AS DURABLE DRONES TO ENSURE WORLD CLASS PROFESSIONALISM. GLOBALLY RENOWNED, OUR DRONES ARE TOP OF THE RANGE. NEED ASSISTANCE ON THE BEST PRODUCT FOR YOUR BUSINESS? Falcon Eye Drones are happy to consult with you to fully understand your needs. Contact us below and one of our team members will be in touch to assist. Our solutions range from 3D mapping and surveying of land all the way through progress monitoring to inspection. Spanning a wide range of industries including construction and oil and gas. 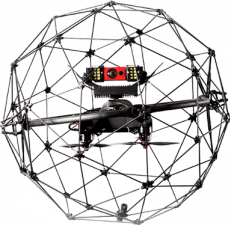 You can depend on us for the highest accuracy and high reliability results as FEDS is the leading drone solutions provider in the industry. Would you like news delivered to your inbox? © Copyright 2019 FEDS. All rights reserved.